After three weeks using the top six models, 15 hours of lab testing and in-depth consultation with a team of air quality experts, we chose the Winix – 5300-2 as the best air purifier to keep our lungs clean. Winix runs quietly, plus it features an air quality sensor — the kind of feature that usually only shows up on much more expensive air purifiers. Filters for the Winix are easy to find and affordable. The Coway – 1512 is another strong performer, but its filters are available from fewer sources. What can an air purifier actually do? We scoured the web for opinions and feedback about the features and qualities that make a good air purifier. From the in-depth discussion on the usual subreddits to the advisory information published by agencies like the California air resources board, there is a lot of good information on the web that discusses the principles of air purification. Sadly there’s also a lot of hype. 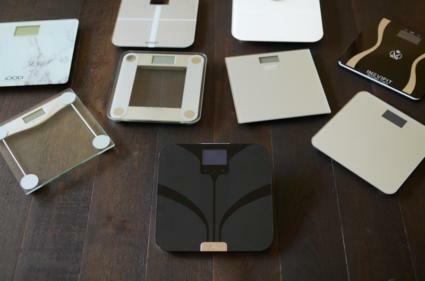 Devices like the notorious Ionic Breeze have been making bold claims without hard evidence for a very long time, and it seems like there are always new products appearing with similar claims. Ionizer-type devices can help take particles out of the air if they’re well-designed, but mostly they dump ozone into your air, and that causes more problems than it solves. 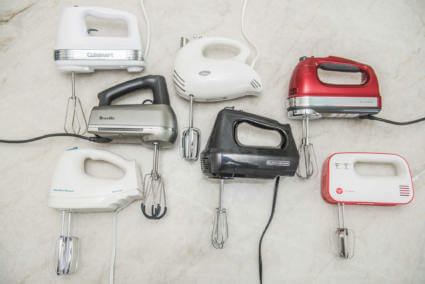 It’s bad enough that the CARB has an entire website of advisories about this kind of device and a registry to help you avoid buying one. There is a chance that a cheap air purifier will use “HEPA-like” filters that don’t actually meet that standard, but the Association of Home Appliance Manufacturers with their Verifide program are trying hard to make sure that you don’t get stuck with a fake. They test with three categories of pollution: large particles, pollen-size particles and smoke-sized particles. Since the legit filters are all so similar, the differences between air purifier models, generally speaking, can be reduced to three questions: how much of your room’s air can it push through the filter, how loud is it and how much will it cost you to run? The first question is also answered by the AHAM’s Verifide program. 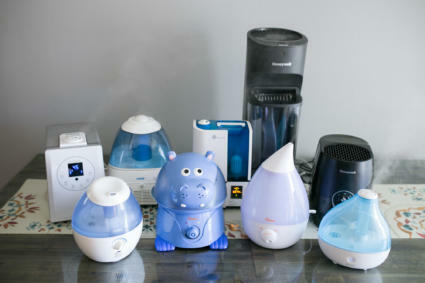 Most air purifier manufacturers participate in the program, where an independent lab gives each device a “clean air delivery rate” certification. Generally this certificate also advertises a room size that will be effectively cleaned at that rate (or you can calculate it yourself) based on the tested performance for cleaning smoke particles. We picked products in two size categories: CADR 200, which should be effective in rooms up to 320 square feet, and CADR 100, which should be effective for a room smaller than 150 square feet. We looked closely at retail sites and other reputable reviews from major publications to see what people love and hate about their purifiers, then we looked for devices in our size categories that should be easy to maintain with economical filter refills. We spoke to experts who work with the California Air Resources Board to get an idea of what an air purifier can help with. The good news is that air purifiers can definitely help anybody who’s worried about air quality, but they aren’t a cure-all. Small particles are the most prevalent form of air pollution. This includes everything from pollen to the soot in smoke, and fortunately this is the easiest class of pollution to clean. At 10 microns, particles are small enough to be easily inhaled, and air quality indexes usually track particles automobile emissions at the 2.5 micron particle size, where it seems to have the most effect on our bodies. Ultra-fine particles are the very smallest particles, smaller than 0.3 microns. The sources of ultra-fine particles are everywhere, but the effects they have on our health are less well-understood. 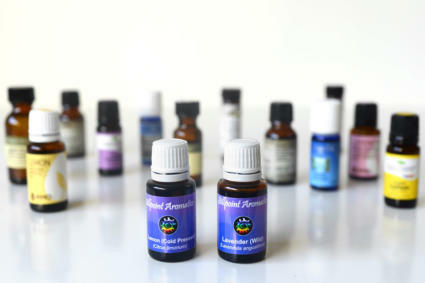 Volatile Organic Compounds are basically gas vapors, most of which you can smell. These come from many sources: plastic, food, your dog and the paint on your walls. There are activated carbon filters that can remove VOCs, but if they’re big enough to be effective they will be expensive and need to be replaced frequently. Generally speaking, if you’ve got a source of VOCs that’s a problem, you should get it out of your house or vent the air rather than trying to filter it. Some sources of air pollution are more difficult to manage than other. If you live in an area where smog and dust from a nearby freeway is an issue, then closing doors and windows and using an air purifier can make a big difference. If you’re dealing with smells from a nearby sewage treatment plant… there’s not as much you can do except close your windows and hope for the wind to blow the smell somewhere else. An air purifier is, for the most part, a high-efficiency filter and a fan. Some models add features like static generators to clump particles, and a few include sensor circuits to turn the fan speed up only when it’s needed, but the basic task of cleaning your air is accomplished by moving as much of you room’s air as possible through a filter. We asked our experts what a HEPA filter will or won’t remove. Does an air purifier capture viruses, for example? While an air purifier can be very effective at removing dust, spores and other bothersome particles that are floating through your room, it can’t do anything about the particles trapped in your upholstery (let alone your pet’s hair). If you have a home or apartment with airtight windows and doors, an air purifier can pretty easily clean out the dust and air pollution that wafts in when you open your doors, but if you’re moving around and kicking up dust inside the room, things get tricky. The more dust you kick up, the more air you’ll need to move through the filter to keep the air clean. If you’ve got leaky windows and door, things get even more tricky, with some homes in warmer parts of the world changing the inside air for outside air one or two times per hour. Most CADR room-size calculations aim for three air changes per hour, so they should be able to keep up with indoor sources of pollution like cooking and infiltration of dirty outside air, but it’s difficult to clean the air in just one “zone” of a house unless you can actually seal it off. Cleaning carpets and furniture: Dust mites, skin cells and other particles accumulate quickly in carpet and upholstery, so vacuuming and cleaning regularly can take care of a lot of the dust that’s in your living space. A vacuum with a HEPA filter or a central vacuum that keeps the dust outside can make an even bigger difference. If you find that your vacuum is cumbersome for regular use, hand-held vacuums can make a big difference in keeping the sofa dust under control. Pets and allergy solutions: If you’re allergic to your best friend, what can you do? The Asthma and Allergy Foundation suggests you can get a little bit of relief by making sure not to give your pet access to your bedroom, but you’re still going to have to keep the rest of your house very clean. An air purifier will help with the dander and other pet-dust that’s floating through the air, but there are still particles in your carpet, upholstery and hiding in your pet’s hair. Don’t smoke inside: An air cleaner will be better than nothing if you’re dealing with second-hand smoke, but there’s really no way to remove the odor of tobacco smoke or all the danger of exposure if it’s in your house. Put out the candles, too: Sadly, the romantic glow of candlelight also spreads soot and other particles into the air. 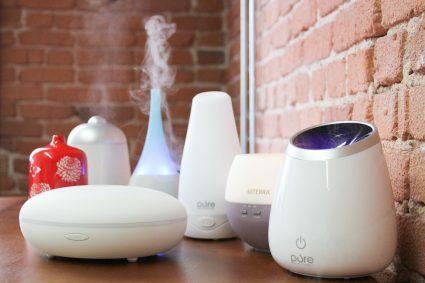 Soy or Beeswax are better than paraffin, and an air purifier will help manage the smoke that’s in the air, but it’ll be much cleaner if you don’t light them at all. Seal windows and doors: If you’re more concerned about the air quality outside than inside, weather-proofing your doors and windows can keep the infiltration of polluted air to a minimum. Even if you do decide to go with an air purifier to deal with the pollution that comes into your house when you open the door, a well-sealed house will cut down on AC or heating costs. 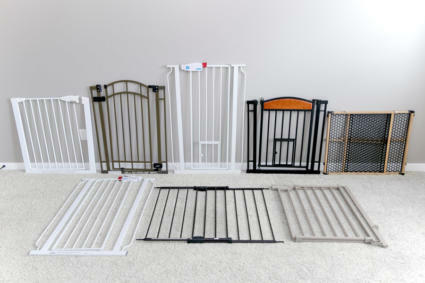 CADR and room size: Picking the right air purifier for the job is the most important choice. The “Clean Air Delivery Rate” is a lab-tested measurement of the number of cubic feet of air that the purifier can filter per minute: multiply that by 1.5 to get the number of square feet it can easily handle with an 8’ ceiling. CADR is often listed for dust, allergens and smoke, but the smoke rating is the one to watch when picking a general-purpose air purifier. They tend to be very similar numbers. Types of air cleaning: There are a few different technologies on offer that can help make your air more breathable, but the technology we focused on for this review is HEPA filtration. Filters are effective and fairly economical; other technologies might add some benefits, but they’re either very expensive or they aren’t very effective with large volumes of air. 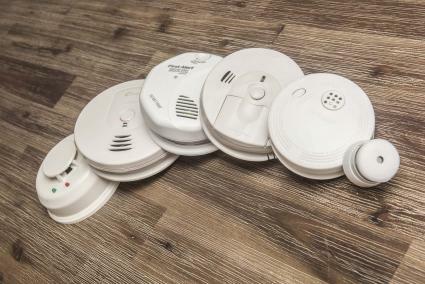 Timers and sensors: If you’re looking for a filter to leave on 24/7, then you’ll want the lowest noise and most energy-efficient model you can get. If you can keep your room sealed from indoor or outdoor pollution except at certain times during the day, though, a timer or an air quality sensor means you won’t be running your air purifier more than necessary. Fan noise: A quiet machine may make a big difference for quality of life, you don’t want to trade air pollution for noise pollution. 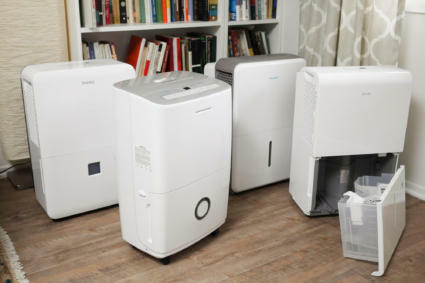 We ran each of these air purifiers in a two-bedroom townhouse located near the 55 Freeway in Orange County, California. Air quality isn’t as bad as some parts of the state, but the outside air isn’t great. Our tester also just moved in, and the windows are sadly lacking in weather sealing. We logged air quality with a Dylos particle counter, which uses lasers to track how many tiny particles are floating through the air: results definitely show an improvement when running an air purifier, even when cooking or with a toddler running around in the same room. In a 238-square-foot living room, the CADR-100 machines struggled to keep up with heavy activity, though performance wasn’t all that bad during nap time. This casual, real-world testing definitely reinforced to us the importance of picking an appropriately-sized air purifier if you want to keep up with dust and leaky windows. This testing also showed us the value of having some way of knowing when you need to turn up the fan on your air purifier. If you’re buying for a busy household you might just keep it running on full blast, but it quickly became obvious that that wasn’t necessary if our test-toddler was asleep and nobody was cooking. The Winix and Coway air purifiers, with their built-in air quality sensors, definitely make a lot of sense for someone who doesn’t have a way to test their own air. We set up two air-tight testing chambers to run filtration rate tests. We have no reason to be skeptical about the testing done by AHAM and Intertek, but the published clean air delivery rate tests only show performance at the fastest fan speed. We ran controlled tests at both high and low speed settings to see how much performance you’re giving up in order to turn down the noise. For testing, we introduce controlled pollutants into our sealed test chamber: 10g of titanium dioxide, a very fine white powder that mostly has particles in the 0.3 to 1.0 micron range. (This is the same compound that makes paint white.) We also burned 1.5 grams of Dunhill pipe tobacco (about half a bowl in a small pipe) to generate some ultra-fine smoke particles and see if these devices could be at all effective in cleaning up second-hand smoke. The Dylos counts both small (.5 micron) and large (10 micron) particles, but we’re publishing the small-particle rates since performance for each was very similar. We ran two tests for each purifier, at high and low fan speeds, for an hour each. We normalized the start times used values from the logs to give a similar baseline. Along with the performance tests, we also checked noise output of each model. We measured the sound pressure level at a 3 foot and 10 foot distance with the lowest and highest fan settings. Testing was done by our resident sound engineer using the REW suite and a calibrated mic, with levels verified against a calibrated SPL meter. As expected, the noise level was quite high at full blast, but we were pleasantly surprised at how quiet most of these air purifiers are on the lowest fan speed. The Coway really deserves a special mention here: on low settings, both Coway and Winix are so quiet they’re difficult to measure, but the Coway won by a decibel. At full blast it was Honeywell who had the edge, but this is where it’s important to realize that low noise is typically directly related to a low performance. Honeywell performs better than the others on low, where it’s louder than the competition; on high, it’s quieter and lags behind on air cleaning. We checked on filter replacement costs to see who is charging the most reasonable price to keep your air purifier running for the long term. 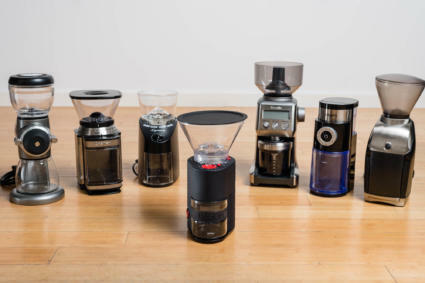 Because filter life will vary depending on how much each filter picks up, we also measured the filter area that the cost of a refill gets you. This is still going to be, largely, a matter of personal preference: like the cabin air filter in your car, most people can use these filters for much longer than the manufacturer rates them for without seeing a change in performance. The activated carbon component of these filters is, in every machine except the Levoit, a replaceable pre-filter. The pre-filter does double-duty catching hair or big particles (something that could also be done with nylon mesh) and doing a very little bit of work capturing volatile organic compounds. You can read other reviews if you want to see details on how poor these skinny filters are at capturing smells or fumes. If you have the option of buying a replacement HEPA filter and not replacing the carbon filter, you could cut down your filter cost significantly. On the other hand, if you’re willing to trade a little bit of airflow for slightly-better-but-still-negligible performance with VOCs, one Amazon purchaser has claimed success stacking the carbon prefilters to get more active surface area. In any case, the life of a HEPA-type mechanical filter is as long as you’re willing to put up with the performance it offers. When it catches a lot of particles it will start to literally clog up; new particles are still captured, but it will take more time and electricity for your purifier to filter the air in your room. Unless you’re using it in a dog kennel or a woodworking shop, though, you can probably run the same filter for much longer than one year. We also verified the kilowatt-hours of electricity each machine uses on highest and lowest speed to see what the long-term cost of ownership will be. We calculated the cost based on 20 hours/day of low-speed and 4 hours/day of high-speed use. That’s close to a worst-case cost scenario, since hopefully you’ll be able to turn each machine completely off after running it for a few hours a couple of times per day. We used the U.S. national average of 12 cents per kilowatt-hour, your local rates will of course vary. Winix has a competition-blasting air purifier in their 5300-2. Leveraging a big HEPA filter with an efficient and quiet fan, this machine is cheap to run and quiet enough that you might not even know it’s there. Even if you have a smaller room, this is our pick. Simply put, this is a good price for a HEPA-type air purifier that’s certified to clean a room of up to 360 square feet. That’s 2,880 cubic feet of air, and the Winix will circulate that much through the filter more than four times in an hour at top speed. That in and of itself is not remarkable: HEPA filters are all basically the same, and this size class is a popular one since it will clean most living rooms easily and a bedroom even more quickly. The big price-hike for air purifiers of this size tends to occur when a manufacturer includes an air quality sensor and Wi-Fi. 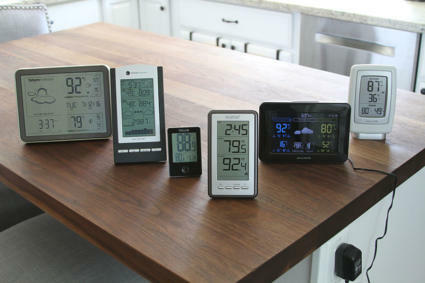 Honeywell and Whirlpool are offering their no-sensor big-room filters for about $150, while Dyson, Blueair and Philips add sensors and a Wi-Fi connection for about $200 more. For the same price as the “dumb” purifiers Winix offers an air quality sensor to automatically turn up the fan, but it will never ask you to reset your router. For the cost of this device, it’s not easy to build a machine from furnace parts, let alone get an air quality sensor and magnetic-latch filter cover. This is one of the best-performing machines in its class, and it’s cheaper to run it all the time than many much smaller competitors. Coway is the other value-leader, but their 1512HH still typically costs $100 more than the Winix with the same features. Performance is basically the same; Winix uses a few watts more electricity when it’s sitting on the lowest speed, but it makes up the difference quickly by using 15 fewer watts at full blast without sacrificing performance. The filters cost nearly the same on Amazon, and there are far more places we found selling Winix-compatible refills. The Coway filter does offer slightly more surface area when you measure the depth of the pleats, but if you’re replacing filters at the recommended rate of once per year you’d probably never get even close to clogging either brand. The biggest difference we saw between Winix and Coway in day-to-day testing is that Coway has tweaked their auto-speed system to run at high speed for slightly longer at bigger intervals. While the Winix purifier sped up for a few minutes, slowed down, then sped up again five minutes later if there was still dust moving around the room, Coway’s speed controller will turn up the fan for five minutes at a time with longer breaks. It’s difficult to control the individual particles that flow past the tiny sensors on these machines so we couldn’t really test their accuracy, but in our day-to-day use both purifiers turned on when we expected and didn’t seem wasteful. Winix and Coway are both using an electrostatic ion generator of some kind to boost efficiency. (Winix calls it “PlasmaWave.”) Based on the performance differences with the filter-only Honeywell machine it does seem like the effect could be significant, and if Winix’s ion generator is slightly more efficient it would explain the slight edge they have shown in our test and the tests run by The Wirecutter. PlasmaWave only drew 10 watts more when we turned it on, and the CARB approval certification means it isn’t creating ozone at nuisance or harmful levels the way some machines do with this type of system. If you want a few perks, Winix also makes the 5500-2, which has a remote and will auto-dim the control panel when you turn off your lights. The price for the two models is often identical, so if you have a very long walk to the other side of your bedroom and you think you’ll want to turn the machine on or off when going to bed maybe that will be worth seeking out. The 5500-2 has a listed filter refill that’s slightly different, but based on the certified performance rating we can’t imagine how the real-world performance would be any different. 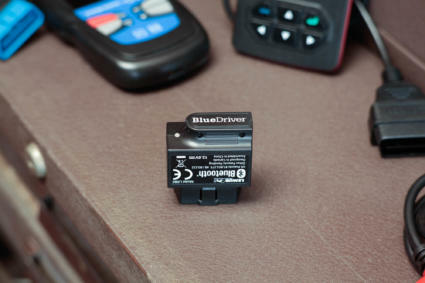 The 5300-2 has a “night” feature that turns off the control panel lights, but it only works in the auto-speed mode. You’ll have to ignore or cover up the lights if you want to leave the fan running on a constant speed to make background noise while you fall asleep. The Winix – 5300-2 took top spot for air-cleaning performance, though only by a hair. The noise output is second quietest, but that was also a close race. It also plays a friendly song when you turn it on or off. Winix’s power efficiency is the best we’ve seen. Replacement filters for the 5300-2 are competitively priced and easy to find. An auto-speed system turns up the fan only when it’s needed, which means it saves power and doesn’t make unnecessary noise. If you have a 24”-by-15” spot for it, there’s not much reason to buy a smaller machine. If you need more capacity, buy two. Coway has garnered a lot of positive press and good will with the AP-1512HH. This is, by all accounts, a great air purifier. At the end of the day, though, any advantages it has over the Winix 5300 are slim at best, and the purchase cost is higher. If you’re looking for the very quietest machine you can possibly find that still has room-clearing performance when you need it, Coway manages to have an ever-so-slightly slower fan at its lowest speed. It’s just a hair quieter, draws 2 watts less electricity, and will take a few minutes more to clear out particles. On highest speed, Coway and Winix are indistinguishable for noise levels, though Winix is cleaning very slightly faster and with 15 fewer watts used. Delivering similar performance to our top pick, the Conway is built with a slightly smaller shape and comes at a higher price. It operates so quietly that you'll wonder if it's still running. We just wish its replacement filters were easier to find. We should note that the air delivery rating from AHAM’s certified test is a whole cubic-foot-per-minute higher for Coway than it is for Winix, so there’s undoubtedly enough margin of error in our testing that you can call it a wash. The time to clear 50% of the particles in a sealed room is close enough between the two that you’d need to count by the second, and our testing tool only logs by the minute. The Wirecutter has recommended Coway’s air purifier for years, and it seems they mostly picked Coway over Winix because those filters are slightly more expensive than Coway’s if you’re buying from the manufacturer directly. Shopping around, the price difference all but disappears. If you’re worried about getting genuine refills, Home Depot also has the Winix filters for less, and Coway filters are hard to find outside of one probably-authentic Amazon listing. If you find Coway’s model on sale and you like the shorter-but-deeper shape, it’s a great air purifier, but it’s so similar to the Winix in performance and features that looks are probably the only reason you’d prefer it. The Coway – AP-1512HH runs neck-and-neck with the Winix in every category but cost. This fan is so quiet on low speed we were a bit shocked to see how well it’s still filtering. Power efficiency is slightly worse on the highest speed, but it would only add a few dollars to your power bill over a year compared to the Winix. Compared to Winix, Coway replacement filters are not as readily available in the U.S.
Honeywell has one of the biggest and best-known lineups in this product category, and the HPA200 is the machine in that line that matches the 310-square-foot capacity bracket of the other bestsellers and top picks we tested. This is a capable air purifier. The filter quality is as good as any other we’ve seen, though Honeywell uses two small filters to allow compatibility of refills across the entire HPA line. Literally, each step up from HPA100 to HPA200 to HPA300 adds 155 square feet of capacity by adding another 6”-by-10” filter and 100 CFM worth of fan output. This is a neat inventory management trick, but it almost certainly hurts the efficiency of the air purifiers themselves. The economy-of-scale effect isn’t reflected in the price of filter refills, either. On high speed, the HPA200 is a little bit quieter than our top pick, but it’s also moving a bit less air. It uses more power to do so, probably because of the shape of the baffle used to create a good seal around two rectangular filters. On low speed, Honeywell has made the opposite compromise: the fan runs faster, makes more noise, and still uses more power than our top pick. That means it’s doing more work when it’s on the lowest setting, but the Winix will save significant watts using the auto-speed air quality sensor to turn up the fan and use power when it’s really needed. 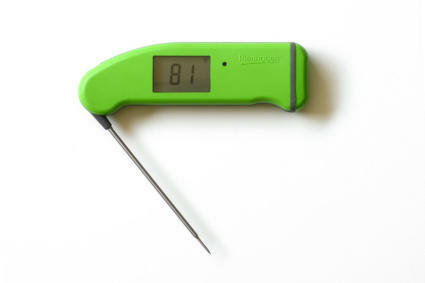 If the Honeywell were a significantly cheaper machine to buy than the Winix, it might be worth picking it up to use only occasionally for solid and reliable performance. Tracking the price, though, Honeywell is almost never cheaper than the Winix. Our top pick goes on sale a few times a year for even less than its already-great average price. If you really don’t have space for a 24” x 15” tower fan, the GermGuardian – AC4825 is slimmer, though not much shorter. On high speed it’s the quietest machine with adequate performance for a small room. The GermGuardian is a relatively good air purifier for $80 (it’s far more effective than Levoit’s under-powered model). Compared to our top pick, though, the $70 price difference disappears within two years if you use the GermGuardian all day every day and replace the filter after six to eight months as the manufacturer recommends. If you can fit the extra width in your room and budget an additional $70 up front, the Winix will be a far more efficient and easy-to-use machine. Compared to the Winix, GermGuardian lacks the auto-speed feature, and the filters are more expensive despite being only one-third as big. On low speed it’s actually louder than the Winix and draws six times more electricity. The small filter and fan also gives more of a “whistle” than “whoosh” sound, and that might annoy some. Though not as energy efficient as our top pick, the GermGuardian has a slimmer profile and it's a bit quieter when set on full blast. It comes at a lower price point, but its pricey replacement filters can soon erode that savings. If your budget is tight and you just need something while contractors make plaster dust renovating the next-door apartment for a week, this will clean the air in a 100-square-foot bedroom relatively well. The long-term cost of filters and electricity, though, give us pause. The fact that this machine isn’t certified and listed by independent tests from the Association of Home Appliance Manufacturers is concerning, though Guardian Technologies claims to use the same testing methodology for the “100+” CADR rating they list in the manual. Its performance matches the AHAM-listed Honeywell in our testing, so we don’t have too many doubts about the claim. In use, this is only a tiny bit louder than the GermGuardian, and its performance was almost identical. It’s not necessarily as easy to fit in a room, though, and we prefer the simple “I, II, III” rotary switch on the GermGuardian to the cryptic “germ, allergy, general, turbo” scale Honeywell uses their touch panel. Levoit is a fairly new player in the home appliance field, and the LV-H132 has gained a lot of positive buzz since it launched last year. It’s a quiet and attractive device, with thoughtful features: there’s a blue night-light, but also a no-light mode for those of us who hate the tiny LEDs that plague our bedrooms. The filter also seems well-built and it should last as long as Honeywell’s for half the replacement cost. The low noise output and power draw from this air purifier, though, seems to be an indication that it simply isn’t trying to move as much air as other devices we tested. Levoit lists “100 CFM” in the manual and some advertising copy, and if that were true it would probably match the performance of the Honeywell and GermGuardian, but given the performance we saw in testing and the low noise and power draw it’s moving far less air than that. It’s not entirely surprising that a new, small company that’s flying under the appliance-manufacturing radar wouldn’t work as hard to get certification from AHAM’s Verifide program. The Guardian company certainly doesn’t seem in a hurry to get on the list, and their device is widely heralded as a great pick. Levoit’s performance, though, seems like a pretty clear case of over-rating a device and hoping nobody checks. We’re thankful we didn’t spend a lot of time testing their bigger, more expensive “CADR 135+” PUR131 model. We reached out to Levoit for comment, and their engineers didn’t think we got a unit with defective electronics or anything else that would cause a sub-standard test result; they didn’t directly comment on the result, either. There are a lot of lessons we learned about what air purifiers can and can’t do, but we’re impressed by the abilities these machines have when doing their main job, cleaning most of the particles out of your air. If you live in a place with bad outdoor air quality, or if you’ve got a lot of things inside that are making your indoor air quality worse, then any of these machines will make a difference. Winix has a great air purifier in the 5300-2, but it’s the auto-speed sensor that really makes it our top pick. Without lab equipment it might be hard to guess when you should have an air purifier turned all the way up and when it can sit at low speed; Winix takes care of that for you, and you can trust that it’ll clean your air as fast as anything else. You can get faster performance for really big rooms if you buy a giant machine with four times more fan power and filter area, but most of us would probably be better off (and definitely save money) buying three or four of this model to take care of hotspots. The runner-up from Coway is in most respects an equivalent machine. We’re a little bit happy that it’s more expensive and that it isn’t as easy to find Coway filters, since that makes picking the Winix as our winner even easier. This Winis unit is quiet, efficient, powerful and easy to use. If you’ve got air quality concerns and 24” tall by 15” wide isn’t too big for your space, this is an easy pick at a very competitive price point.